About 360 days ago, I was excited to put 2015 behind me as 2016 held a lot of hope, a lot of goals and some very well laid plans... Well it didn't take long for the year to disappoint. Doors that were open, closed abruptly and new doors were often disguised as something they weren't. Challenges surfaced on a daily basis - both personally and professionally. But that's what life is all about - change. And how we react, adapt and evolve defines who we are. But through all the challenges, many good things came from 2016. I put together a quick 2-minute video recapping 2016 and I was honestly surprised at everything I accomplished during the year. 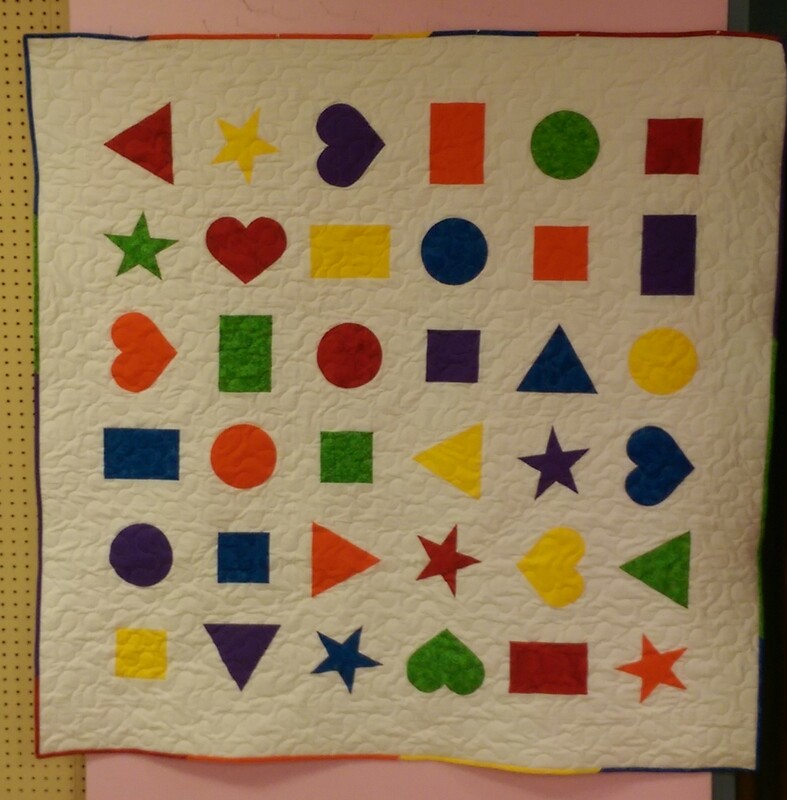 Lots of new designs for quilters to make. 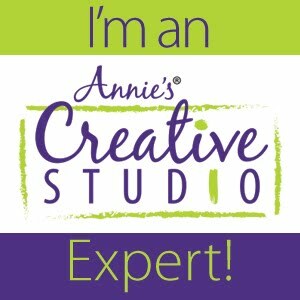 Three new video classes for DIY-ers to learn from and some super fun Facebook Live broadcasts. One of my goals for 2017 is to increase my presence on You Tube. I have already uploaded previews for each of my video classes and have more videos in the works. Here is the link to my 2016 in Review Video. Enjoy! I wanted to share with you the latest quilt I have received back from the publisher, Preschool Primer. 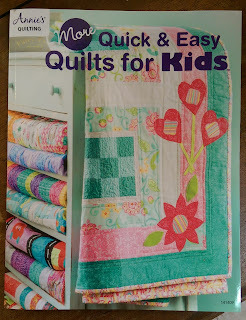 The quilt is part of More Quick & Easy Quilts for Kids published by Annie's Quilting. 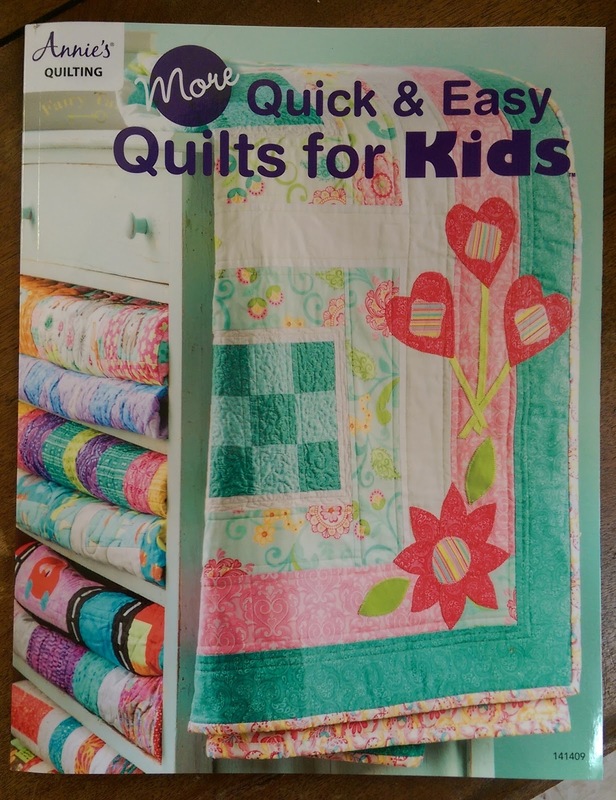 It's always a fun time when quilts come back from the publisher. 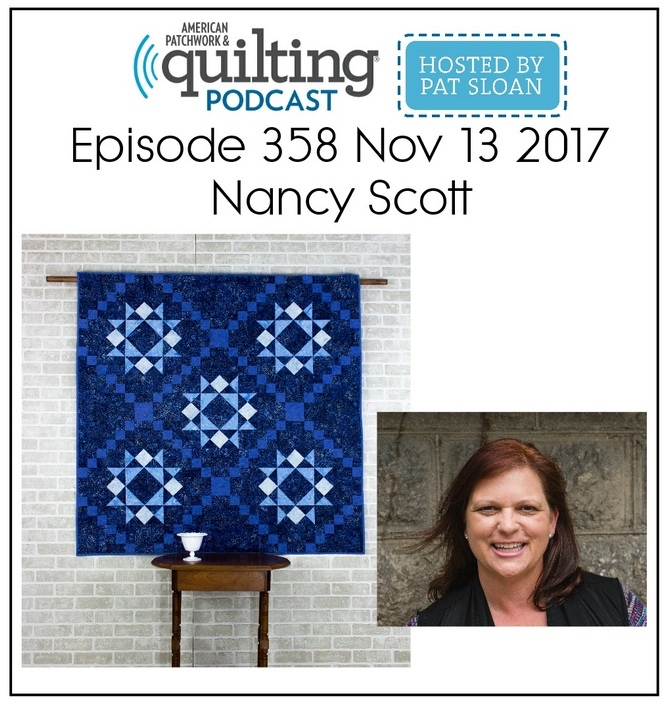 Typically it's been over 6 months since I've seen the quilt and while I was making it, I didn't have much time to enjoy it since it was due by a specific deadline. It's always neat to see how the photo stylists have arranged the quilt for photography in the book. 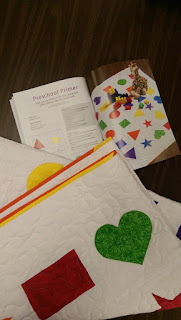 So if you have a little one or need a quick quilt as a gift, consider making Preschool Primer. If you do, be sure to share a picture on the Quilter's World facebook page or on my Masterpiece Quilting facebook page. I will be the first to admit that I'm not much of a blogger ... we all have areas of our lives we need to improve and this is an area where I can use a lot of improvement! But I do have something special to share with you. A FREE tutorial for my Super Simple 9-Patch Mug. The Holidays are quickly approaching but you still have time to make hand-crafted gifts. This mug rug is quick, easy and a super stash-buster! sophisticatedly simple mug rug to use daily or to give as a gift. Finished Size: 6-1/2" x 6-1/2"
1. Arrange the 2-1/2" squares into 3 rows of 3 squares each. 2. Sew each row of 3 squares together using a ¼" seam allowance. 3. With your iron, press the seam allowances of each row in opposite directions. 4. 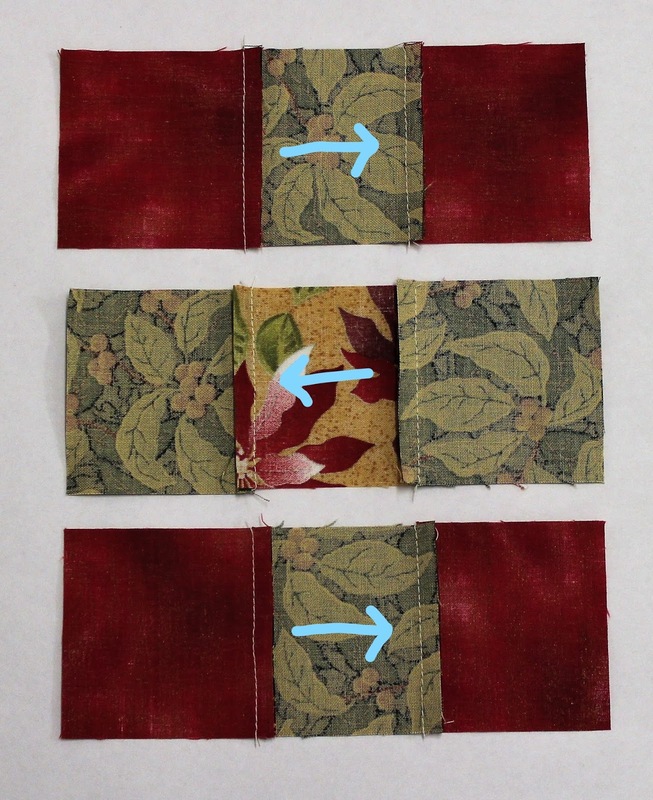 Sew the three rows together using a ¼" seam allowance matching the seams to complete the mug rug top. 5. Press seam allowances open and trim all threads. 6. Layer backing square with wrong side up, fusible foam and mug rug top with right side up together. Align edges before fusing. 7. Using your iron, fuse all three layers together referring to the manufacturer’s instructions. 8. With wrong sides together, press the binding strip in half lengthwise. 9. Using your scissors, cut one end of binding strip at a 45-degree angle, fold and press the end under ¼". 10. With raw edges aligned and the folded edge of the binding towards the middle of the mug rug, position the angled end along one edge on the backside of the fused mug rug and pin to hold. 11. Start stitching at the pin with a ¼" seam down the side of the mug rug. 12. When you get ¼" from the corner, stop stitching, drop your needle down into the mug rug, lift your presser foot and pivot the mug rug at a 45-degree angle. 13. Lower your presser foot and continue to stitch off the edge at the corner. Cut threads to remove it from the machine. Your corner should look like this. 14. To miter the corner, flip the long end of the binding strip up and away from mug rug, folding it along the stitched angle. 15. Bring the binding strip back down along the next unsewn side of the mug rug. Fold the fabric so it is even with the top of the edge and creates an angled tuck. 16. Start sewing at the top edge of the mug rug through all the thicknesses keeping the raw edges of the binding strip and the mug rug even. 17. Continue sewing along this side until you reach the bottom corner where you will stop, pivot and sew off the angled edge again to miter the corner. 18. Continue the process of sewing and mitering each corner as you work around the mug rug. 19. When you have folded the binding down on the fourth corner place a pin about 1-inch from the corner to hold the binding strip in place. Unpin the binding at the start point and open up the binding strip. 20. Lay the unstitched binding strip inside the fold and with your scissors, cut the binding strip at an angle so it overlaps about 1 inch. 21. Refold the binding strips together and pin in place. 22. Start stitching at the top and continue stitching down the side overlapping the start point by an inch. 24. Wrap the binding around to the front of the mug rug, press and clip or pin the binding in place. 25. Fold the corners to create a miter that matches the back. 26. Using the sewing machine, top stitch the binding in place by stitching right next to the folded edge of the binding. Continue stitching all four sides of the mug rug to complete.